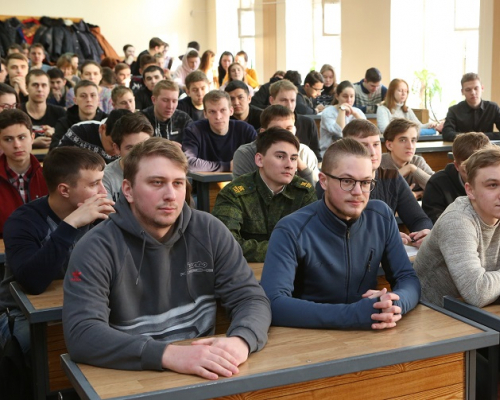 Advisor to the Director General of RSC Energia Alexander Chernyavskiy met students of TPU School of Advanced Manufacturing Technologies and schoolchildren of the Aerospace Class of the Lyceum at TPU. 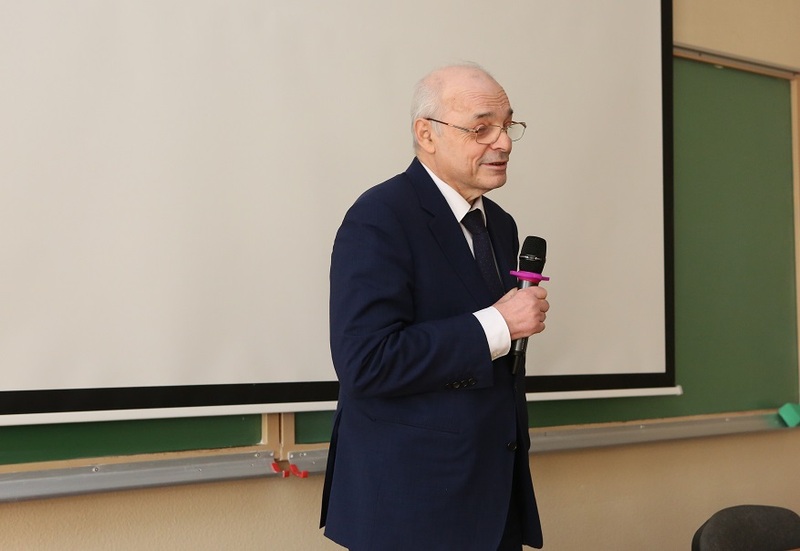 He not only told the young people about major directions in the RSC Energia activities but also expressed the hope that the cooperation between the corporation and TPU will expand and young scientists will be involved into new projects. 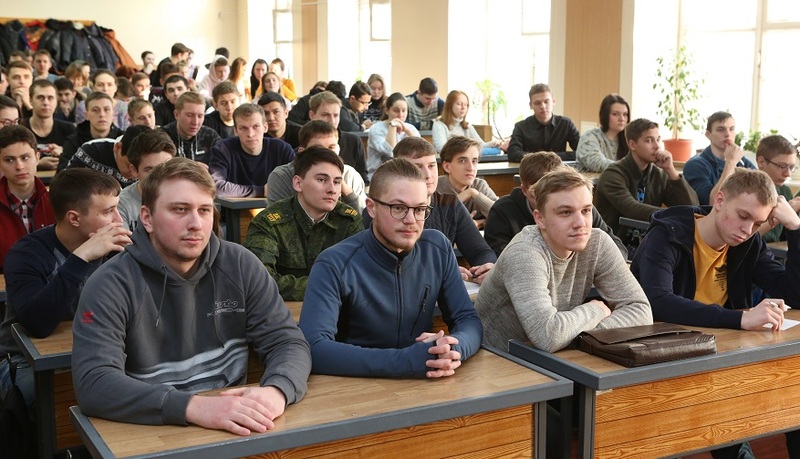 Thus, according to Alexander Chernyavskiy, for the successful development of the aerospace industry, it is necessary to start the training of potential specialists at school and to continue at university. This measure will help to fix the problem of personnel shortage. ‘Unfortunately, now fewer and fewer specialists join the engineering positions in space industry and many other spheres. For several years, I have been saying that we simply do not have enough designers. Last year, five people came to us from TPU. This is real breakthrough! I love TPU very much for its effectiveness, for active participation in joint projects. Previously, I personally advocated that Tomsk Polytechnic University started the training of specialists for us and for Roscosmos in general. You are strong on your traditions, your faculty. In addition, the Advisor to the Director General of RSC Energia told about major directions in the corporation, breakthrough projects. He also mentioned students and their role in the project implementation. In his opinion, it is necessary to involve young scientists. In Tomsk, there are all conditions for this. ‘What makes Tomsk unique: there are universities like TPU, some RAS institutes which work jointly. Here there are some really breakthrough technological solutions without which aerospace industry, in particular, RSC Energia and other enterprises won’t get ahead, for example, in the field of additive technology. You all know about the launch of the Tomsk-TPU-120 satellite which was 3Dprinted. And now we are engaged in a very large project on the launch of a castellation of small spacecrafts. This project was initiated here by the consortium of Tomsk universities. The cases of such devices are made at TPU, the technology was tested on the Tomsk-TPU-120 satellite. About 12 such devices will have been manufactured by 2022.